Joe DiMaggio wears the Kelly Green and Gold. Joe D. on the far right. 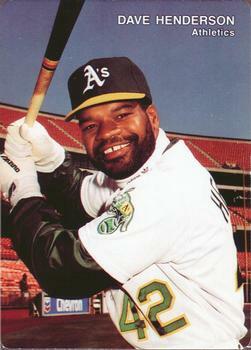 When Charles Finley brought the A’s to Oakland, he hired Joe DiMaggio as Executive Vice President, coach, and public relations man. Apparently Joe set down some firm ground rules before coming on board with Finley. Specifically, he refused to work the base lines; reserved the right to decline invitations to banquets, supermarket openings and other functions he did not wish to attend; and wanted most of his goodwill time to be spent at the park so his free time would be left open. DiMaggio parted on good terms, explaining he wanted more time to golf and fish. Many people downplay DiMaggios’ role as more of typical Finley antics, a claim which no doubt is partly true. However, as one would imagine, a presence such as DiMaggios’ does not go unnoticed. It was DiMaggio who taught Joe Rudi to turn his back on a fly ball, resulting in one of the most famous defensive plays in World Series history. In 1967 a young Sal Bando changed his batting crouch which resulted in a .192 batting average in 47 games, an injury and a demotion to single-A Vancouver. Joe D. provided the tip which pulled the future star out of his struggles. “I was getting jammed on everything, then Joe D. told me to close up my stance” said Captain Sal who anchored the championship A’s at third base from 1968 to 1976. DiMaggio witnessed one of the proudest moments in Oakland Athletics history. After Catfish Hunter threw his famous perfect game, May 8, 1968, DiMaggio was asked about the performance. “Just two words,” he said, “A masterpiece.” Joe also experienced the early days of the color uniforms which were uncommon in baseball at the time. Add to this the colors, Kelly Green and California Gold, and one can understand why DiMaggio took some ribbing from fans. Few people, however, remember the most famous move which DiMaggio made while with the A’s. 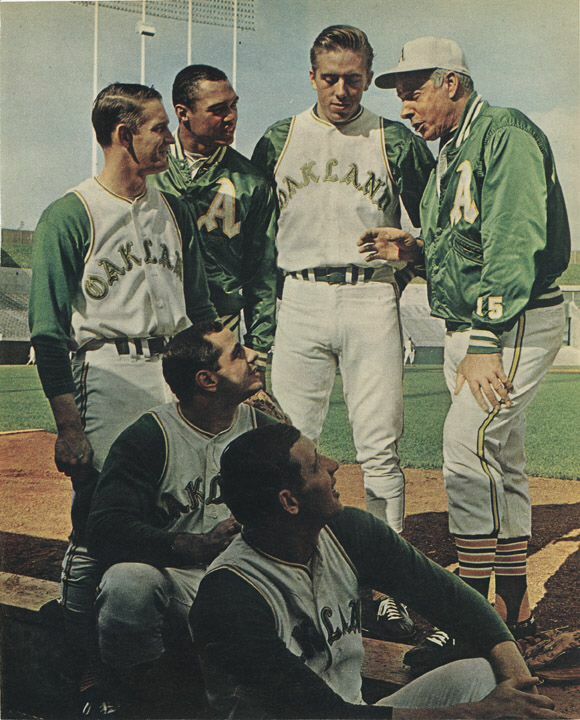 Before the start of the 1968 season, while things were tumultuous in preparation for the A’s first season in Oakland, DiMaggio was wandering around the Oakland-Alameda County Coliseum checking out the new facility and views it had to offer when he noticed that the view of home plate was obscured from view in portions of the upper deck. Oakland officials fixed the problem by moving the infield further out from the backstop; a move which resulted in the largest foul territory in the Major Leagues, and which pleases pitchers and frustrates hitters to this day.